I am eleven years old sitting in my sixth grade classroom. We are reading out of a textbook, I’m pretty sure it was a social studies book. My teacher chose to have our class read round robin. I was a quiet student, afraid to embarrass myself, let someone down, or fail. When we had to round robin read, I panicked. No one else in the room knew I was panicking, but I was quickly coming up with a solution. I had a problem, and I had a way to fix it. I was a good reader, but I was scared that I would mess up somehow and be the laughing stock of Mrs. Martin’s sixth grade class. So, do you know what I did? I knew how many sentences or paragraphs each person was to read, so I counted to see how many of my classmates would be reading before me. Then, I counted the number of sentences or paragraphs that corresponded with that number and began reading it over and over again to myself. I made sure that I read a few sentences before what I thought I would have to read, and a few sentences after so that I was sure to cover my basis. When transitioning between students, I would pause my reading and quickly reevaluate the number of classmates in front of me, what I assumed I would be reading, and then readjust if necessary. Wow!!!! Looking back at that scenario, I wonder how in the world I ever learned. I can pretty much guarantee that I didn’t comprehend what the entire class was reading. I did learn how to evaluate situations and adjust. I obviously learned what it took to be fluent, rereading and rereading. To this day, when I hear the term round robin reading, I cringe and think about my own experiences. How many students do you think do this in your classroom? Do you think they are the high readers, middle reader, or low readers? Or, a mixture of all? Do you have day dreamers? Students that can’t keep up? Students that read too slow, boring the others? If you relate to any of these questions, there is an easy solution!!! 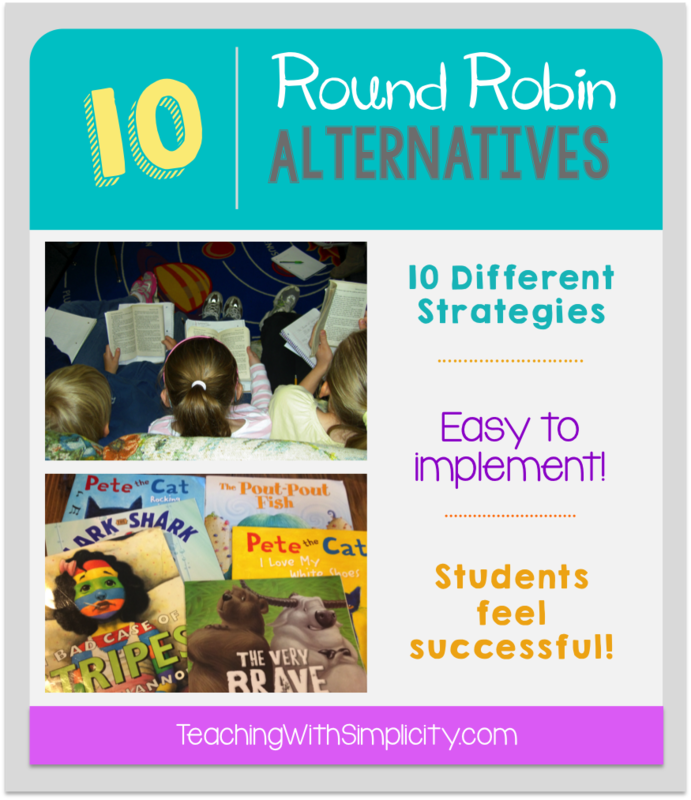 I have compiled a list of 10 easy to implement alternatives to round robin reading. I have personally used each one of these and know they work. A few of them are specifically my favorite, but all of them serve a purpose. Students sit side by side, reading the text together. Each student whispers the text independently. Partner 1 reads a predetermined amount, while Partner 2 listens. Partner 2 paraphrases what Partner 1 read. Partner 2 then reads, and the process continues. Partners decide how they want to read. The teacher reads a sentence, then students read matching fluency and expression. Students read with teacher, read with partner, or individually. Teacher predetermines which students will read where. Partners chorally read a passage, then one partner rereads the passage. Students read to a certain point, then stop and respond orally or in writing. Students read silently but next to a partner that can help them if needed. Each student is assigned a portion of a passage or text. Students practice their part with expression and fluency. The teacher assists students if necessary. After a predetermined amount of time, students come together and read their part. 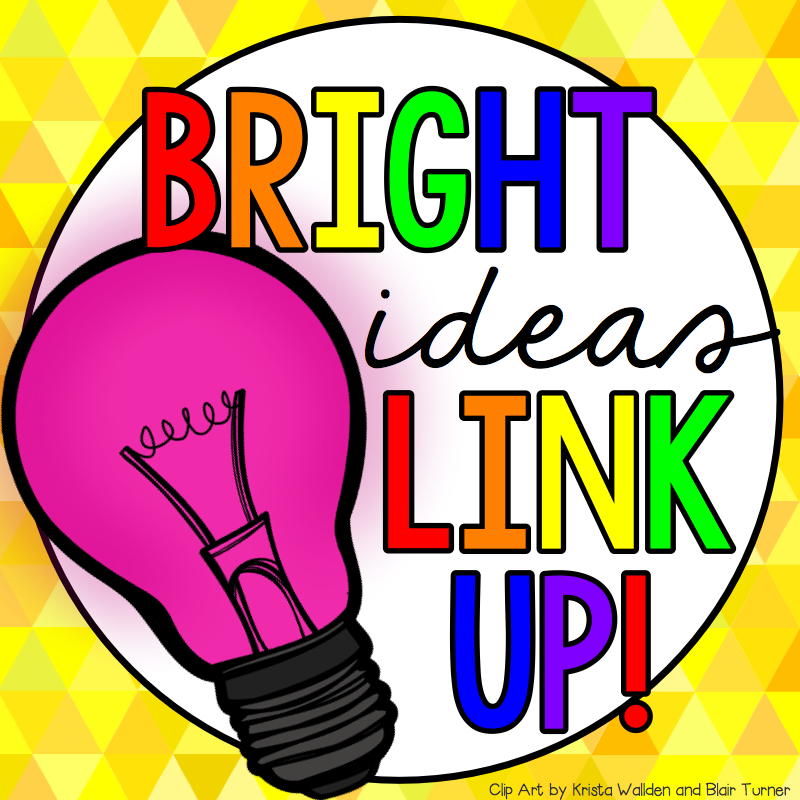 Do you have additional round robin alternatives? The more options we have, the more students will benefit! We would love to hear your ideas in the comments!